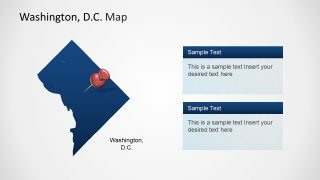 The Washington D.C. PowerPoint Templates is city map presentation of United State’s capital formally known as district of Colombia. 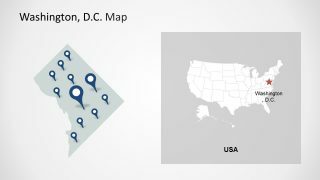 The PowerPoint map of Washington D.C. contains flat design vector shapes and amazing geographic clip arts. Further, it has the incredible silhouette images of cityscapes and historical places. Such as, white house and capitol building which is knows as heart of Washington DC. 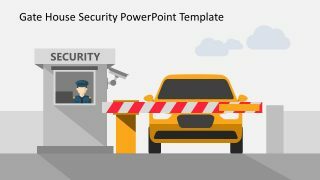 These silhouette shapes of PowerPoint are available in blue color theme. However, this is completely customizable template, letting users change colors and themes. 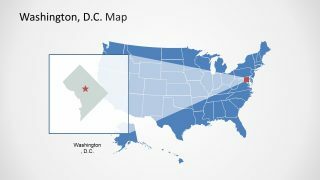 The Washington DC has an interesting map geographically showing the border of Maryland and Virginia State of USA. This is because the Washington DC boarders Maryland in northwest and east. Whereas, it boarders Virginia in South and West. 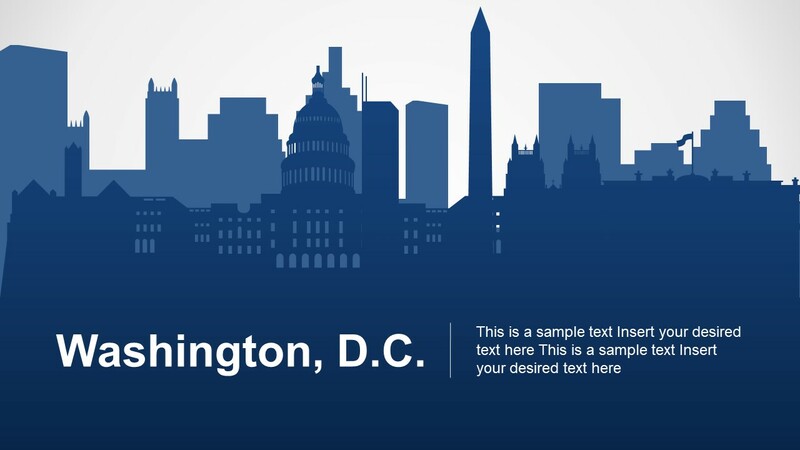 The Washington D.C. PowerPoint Templates is a remarkable presentation of editable maps. The template provides four stunning map slides which display closeup Washington DC. Further, the PowerPoint has map of United States of America which also demonstrate the highlighting version of Washington DC. 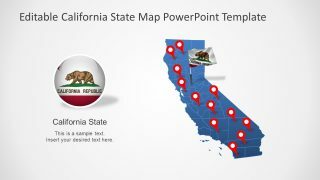 These map templates of PowerPoint have location markers and pins to mark several locations. 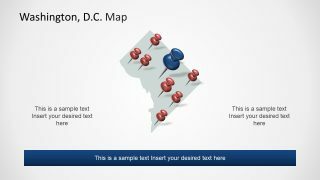 Hence, the PowerPoint map template of Washington D.C. is ideal for presenting topics with specific locations. 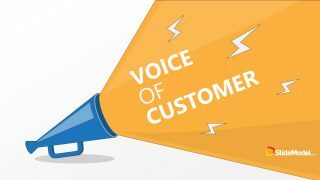 For example, using slides for tourism, market survey, demographic statistical analysis purposes and more. 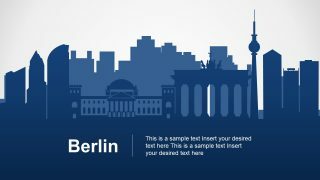 Moreover, the cityscape silhouette is a useful as main header slide of business presentation. Whereas, the template of capitol building can illustrate the political and historical topics. The 8-slide PowerPoint of Washington D.C. map is comprised of individual units which create meaningful graphical illustration. 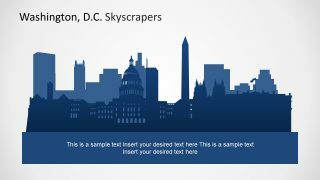 Such as, the skyscraper PowerPoint clip art silhouette is a collection of separate building icons group together. 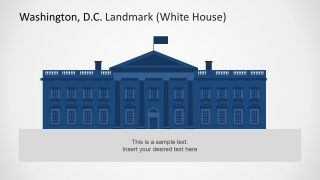 This enables presenter to color the icons differently to identify the building like capitol building and monument. 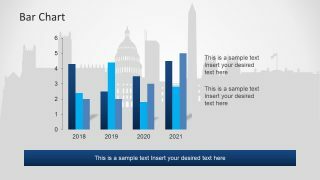 Further, the Washington D.C. PowerPoint has a helpful data driven multiple bar chart slide to assist with demographic presentations. The SlideModel also has Portland Oregon PowerPoint map template available for download. 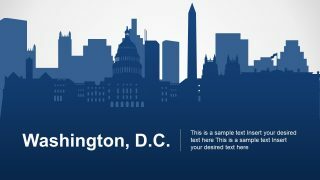 City Map Clipart Design Editable Maps Geographic Location Map Location Marker Map PowerPoint PowerPoint Shapes Silhouette US Map USA Washington Washington D.C.